The President’s List, for students with a perfect 4.0 grade point average, can be accessed at truman.edu/honors/fall-2018-presidents-list. 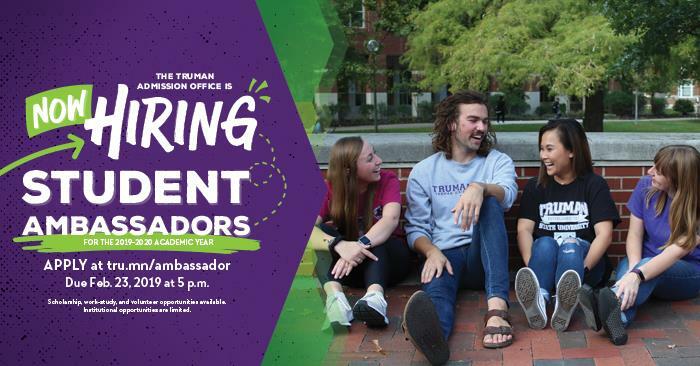 The Vice President for Academic Affairs’ List, featuring students with a grade point average between 3.50-3.99, can be found at truman.edu/honors/fall-2018-vice-president-for-academic-affairs-list. 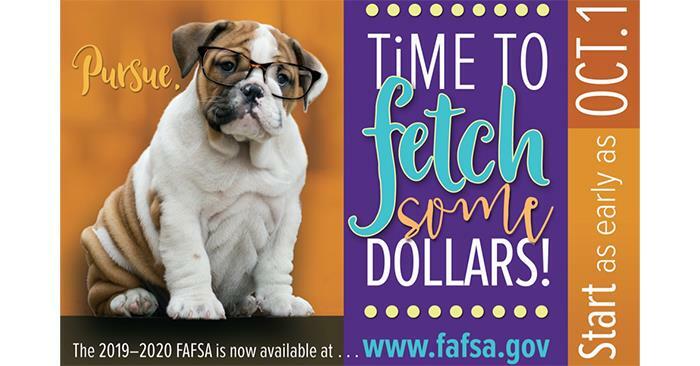 To qualify for either list, a student must be an undergraduate and complete at least 12 hours of credit during the semester. The University Observatory will host a special open house starting at 8:30 p.m. Jan. 20 for the lunar eclipse. The eclipse should begin around 9:33 p.m., but the moon will be completely eclipsed only around 10.41 p.m. The total eclipse ends around 11.43 p.m., with the partial eclipse ending at 12:50 a.m. 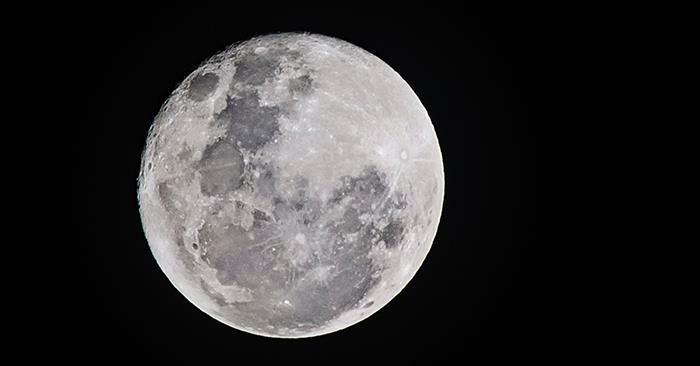 Weather permitting, the special open house will start at 8:30 p.m. and last through midnight at the Observatory located at the University Farm. The Stargazers astronomy club will set up telescopes and binoculars at the Observatory. Apart from looking at the moon, they will point the scope to other interesting objects in the sky such as star clusters and nebulae. Attendees are encouraged to bring coats, sweaters and blankets. Eighteen new scholars were officially inducted into the Truman McNair Program, Dec. 9. The prestigious program is funded through the U.S. Department of Education with the goal of removing barriers to graduate degree attainment. 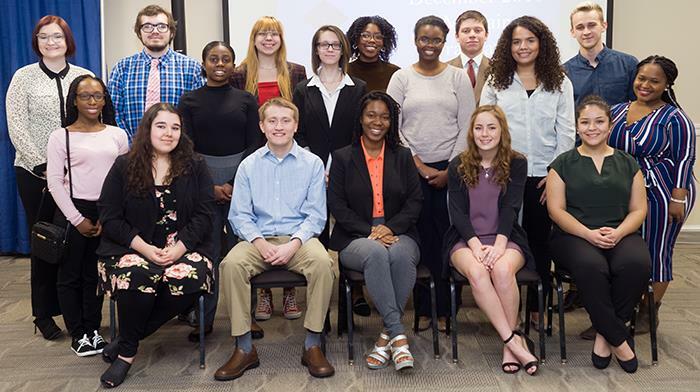 The inductees are: Noah Anderson, physics; Kyiah Bell, health science; Ulysses Butler, computer science; Sierra Clark, political science; Jeremy Freese, psychology; McKenzie Garner, French and linguistics; Sadeja Harper, health science; Lydia Helfrich, psychology; Kay McNeary, biology; Madison Miller, physics; Abby Moreno, studio art; Elva Moreno Del Rio, English; Jayla Simms, psychology; Alyssa Soles, biology; Alyssa Tipler, biochemistry; Tori Tyler, music education; Shannon Washington, psychology; and Tre’Andice Williams, biology. 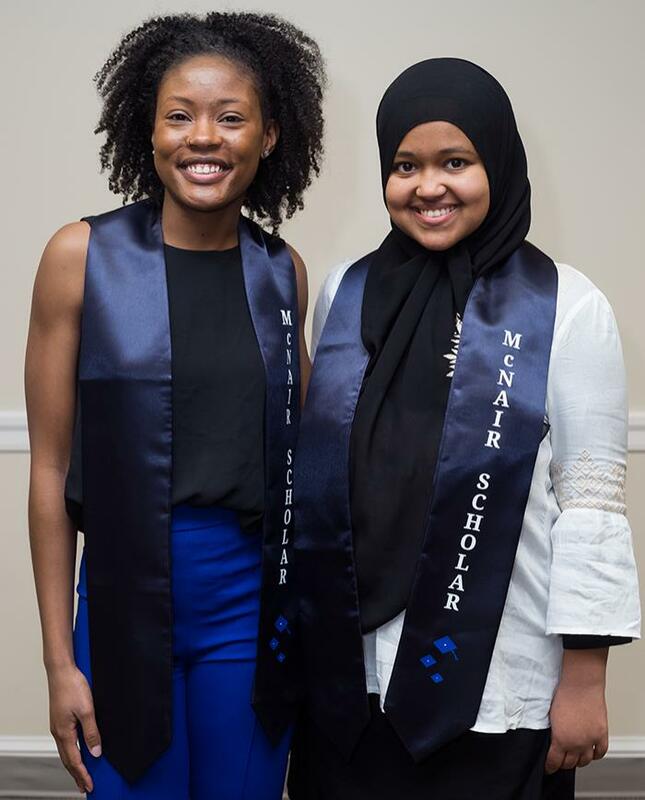 The program also celebrated two McNair Scholars who graduated in December 2018. Marquita Cooper, psychology, (above left) and Maha Mohamed, health science, have both have completed applications for graduate study and are waiting for news from the programs in the spring. The University conducted graduation ceremonies Dec. 15. 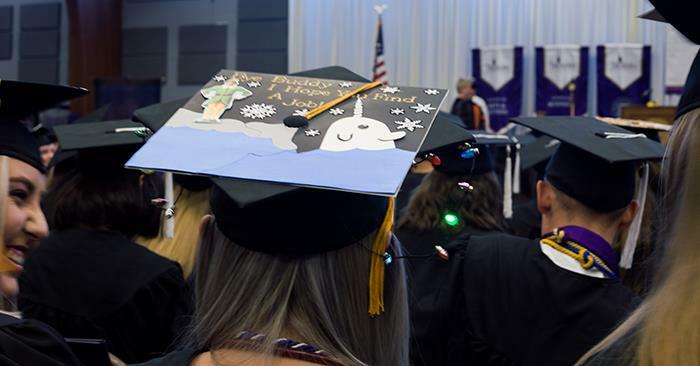 The names of the graduates can be found online at truman.edu/honors/fall-2018-graduation-list. Justin Jarvis (left) and Sarah Mohler (center) accept their Academic Innovation Awards from Janet Gooch, executive vice president for academic affairs and provost. 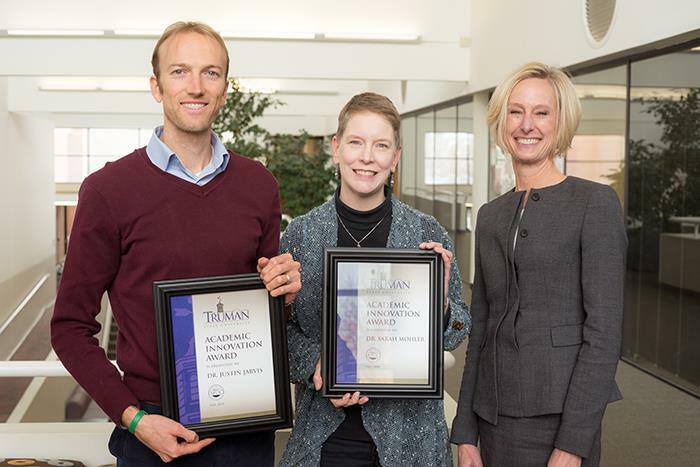 Justin Jarvis, assistant professor of economics, and Sarah Mohler, assistant professor of English, each earned the fall 2018 Academic Innovation Award. Jarvis was recognized for, Collective Communism in the Classroom, which helps students visualize the inner workings of the free market by participating in a simulation economy in the classroom. The simulation did not rely on the typical supply and demand market processes; rather, students had to collectively decide on quantities and thus learned firsthand how difficult that procedure was. Mohler won for, Fostering Emotional Well-Being and Deeper Literary Analysis Through Script Theory. By teaching students to recognize the cognitive scripts that led to happiness or unhappiness in the lives of fictional characters it can help not only improve their analysis of literature but also help them recognize and analyze the scripts that might be contributing to their own happiness or unhappiness in real life. When paired with an assignment asking students to implement one of seven scripts psychological studies have associated with increased happiness, it can foster greater emotional well-being that may have an impact well beyond the course. Huping Ling, professor of history, has been awarded a Center of Missouri Studies Fellowship from the State Historical Society of Missouri to study how the 1965 Immigration and Nationality Act affected Missourians. The 1965 act changed U.S. immigration policy by replacing the National Origins Formula, a protocol introduced in 1921 which created a quota system based on national origin, with the current system based on family relationships and work skills. Ling’s proposed study, “The 1965 Immigration and Nationality Act and the Formation of Cultural Community in St. Louis, Missouri,” will focus on the development since the 1960s of a St. Louis Chinese American community that, unlike older immigrant communities, has not formed its identity from living together in a close physical neighborhood, but is unified by a sense of shared cultural heritage despite being spread throughout the metropolitan area. Ling will hold her appointment for the 2019 calendar year. She will write a scholarly essay for possible publication in the Missouri Historical Review, the quarterly journal of the State Historical Society of Missouri, and may also make a public presentation of her work. Each fellowship award includes a stipend of $5,000. New topics for the fellowships are introduced each year. 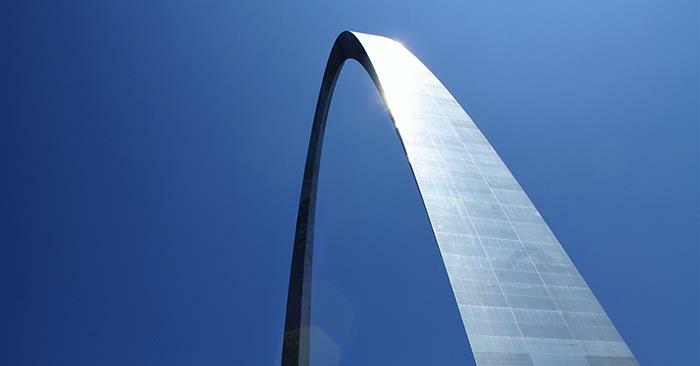 The Center for Missouri Studies is the State Historical Society’s vehicle for carrying out its mission to promote and disseminate study and teaching of the state’s past. 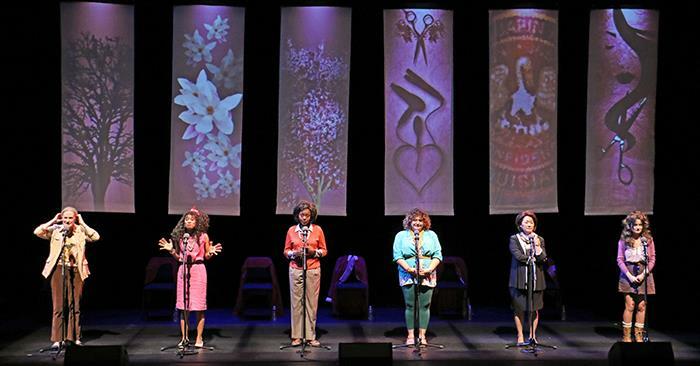 In addition to the fellowship program, the Center’s initiatives include publications, such as the Review; educational programs like National History Day in Missouri; and lecture series such as The African American Experience in Missouri, a partnership with the University of Missouri Division of Inclusion, Diversity and Equity that is co-sponsored by the Missouri Humanities Council. 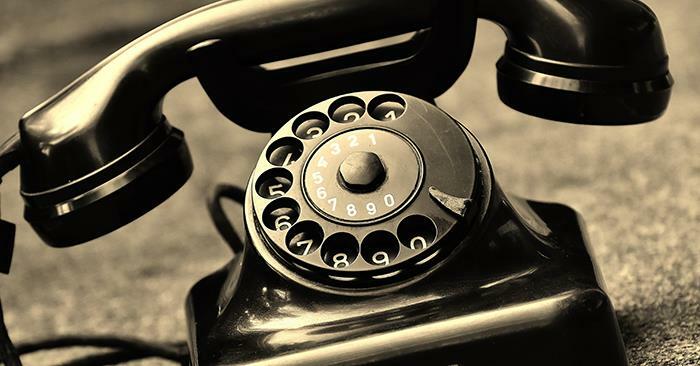 Students who have excellent communication skills on and off the phone, an outgoing personality, a reliable and dependable work ethic and a willingness to ask parents and alumni for financial support are needed. There are nightly incentives (prizes, food, etc. ), and students will be paid the new minimum hourly wage. Apply here. Questions regarding Tel-Alumni can be directed to Dylan Phillips at 660.785.4103, dphillips@truman.edu or in McClain Hall 205. The application deadline is Jan. 22. With the passage of Proposition B in November, the minimum wage in Missouri increased from $7.85 to $8.60 per hour, effective Jan. 1. 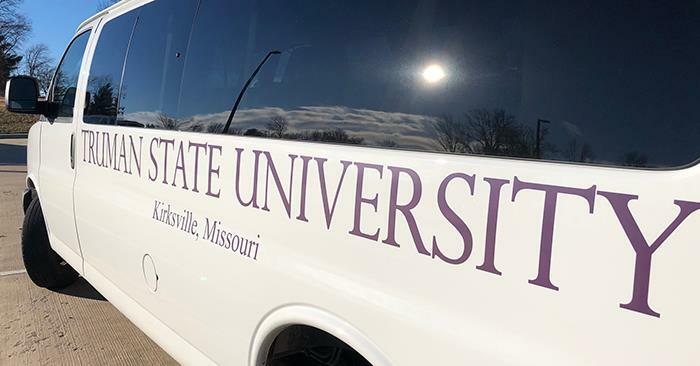 As a public employer, Truman is exempt from Proposition B, however, the University has voluntarily chosen to adopt the upcoming 2019 minimum wage increase. Additionally, the change in minimum wage will also reduce the scholarship service requirement from 60 to 58 hours per semester. The Student Union Building will now be open during the following hours. From Jan. 14-18, when loading $100 Bonus Bucks, receive an additional $20. 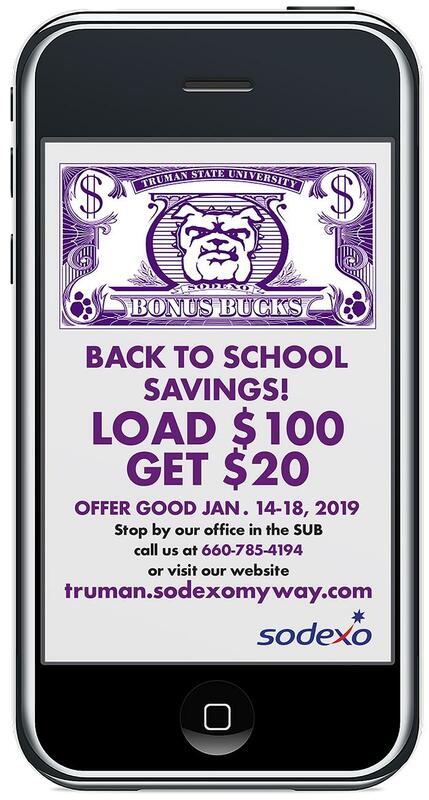 Come by the dining office, call 660.785.4194 or go online to truman.sodexomyway.com. Student Bonus Bucks do not expire until May 31, 2019. 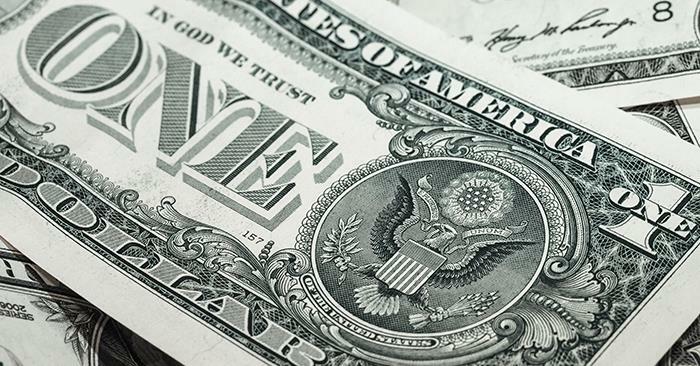 Faculty and staff Bonus Bucks do not expire. Tom Capuano, professor emeritus of foreign language, had his dictionary of medieval Spanish plant names, Diccionario herbario, reviewed in the Revista de Lexicografia of the Universidade da Coruña, Spain, in volume 23 (2017). 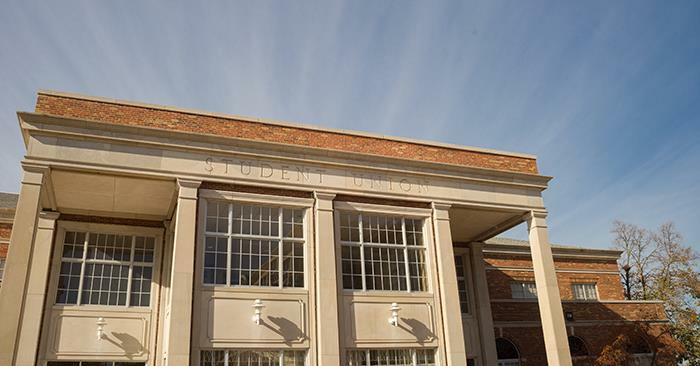 Capuano worked on the project for more than 20 years at Truman with the help of numerous undergraduate students and support from the Office of Undergraduate Research. Meg Edwards, assistant professor of political science, led 25 students from her Model United Nations course to participate in the American Model United Nations (AMUN) Conference in Chicago. Truman students represented Bhutan and Ethiopia in the four-day conference, alongside approximately 1,500 participants from 97 universities. Truman was recognized with an Outstanding Delegation Award for Exceptional Representation of Ethiopia on the Security Council. Caroline Goldsby and Austin Green served as the representatives for this delegation. Mitch Nichols, football, was voted to the Google Cloud Academic All-America football second team by the College Sports Information Directors of America. He was previously named a first team Academic All-District selection. Nichols was second on the team in receiving yards this season with 207 on 12 catches. A senior health science major with a 4.0 grade point average, Nichols hails from Hannibal, Mo. 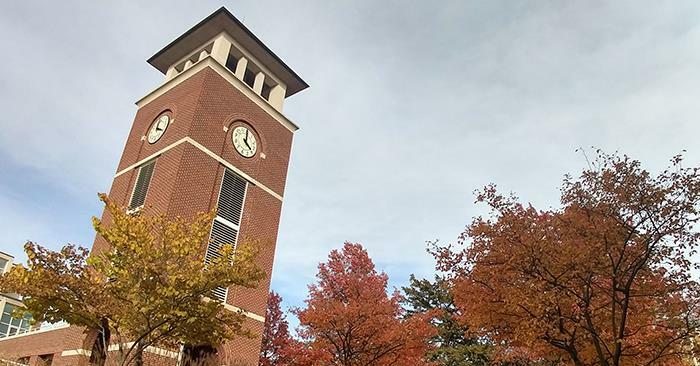 Truman has had 116 Academic All-Americans, which is among the top 30 of all four-year and two-year schools and second among NCAA Division II schools. Lawrence Woods, football, was named to the D2 Conference Commissioners Association All-America first team. He is the first Bulldog since 2011 to earn the All-America distinction. Woods was the GLVC Special Teams Player of the Year after returning three of his 12 kick return opportunities for touchdowns and averaged 50.8 yards per return this past season. 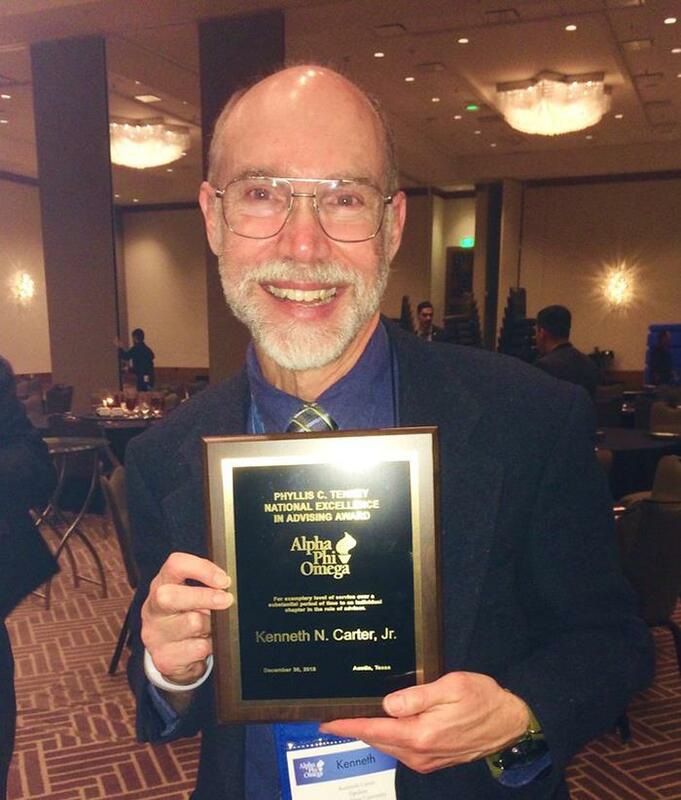 Ken Carter Jr, professor of chemistry, received the Alpha Phi Omega Phyllis C. Tenney Excellence in Advising Award at the 45th biennial Alpha Phi Omega National Convention in Austin, Texas, Dec. 30, 2018. Carter was one of just four individuals nationwide to receive this award. Alumni and undergraduate members of Truman’s chapter of Alpha Phi Omega organized and submitted a nomination on his behalf. Alpha Phi Omega is an international inclusive service fraternity organized to provide community service, leadership development and community-building opportunities for college students. Truman’s Alpha Phi Omega chapter was the fifth chapter founded nationwide in 1927, and the first founded west of the Mississippi River. Alpha Phi Omega has more than 350 chapters serving on colleges campuses in the United States, the Philippines, Canada and Australia. Carter began advising Truman’s Alpha Phi Omega chapter in 1992.